Objective: Describe the 6 principles of robotics and 3 laws of ethics of robotics. 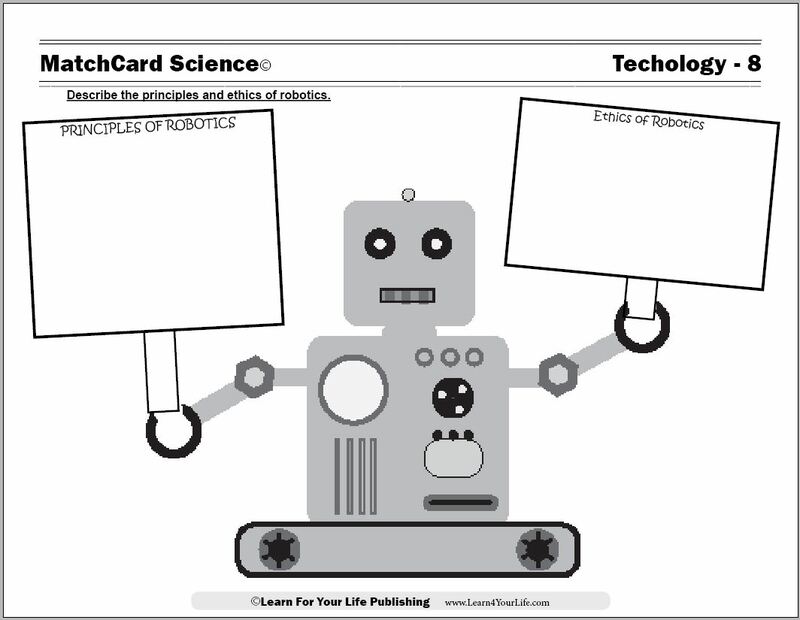 MatchCard Information Pieces are matched to the principles and ethics of robotics. Ideas for projects are listed on the instructor's page and below. 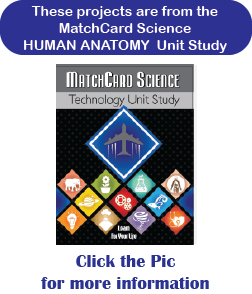 This is MatchCard #8 of the Technology Unit Study. Find more information on MatchCard Science below. Before going further, let's break out the popcorn and watch a 1960's episode of the Jetson Family. Teacher’s Note: The reason for the emphasis on 1960’s robots is to demonstrate that robots were not originally computerized - though that is a current characteristic. Ok, before we look closer at what a robot is, there is something you need to know. There is NO perfect definition of robot that covers every robot out there. Why not? Well, to begin with, one of the principles of robotics is that robots are computerized. But the household robot in the Jetson’s as well as the robot toys of the 1960’s were basically pre-computer. So while there are some general characteristics that describe robots, and principles of robotics that are used to teach how to make robots, there are exceptions. Let’s look at the picture of the sign the robot is holding in the Answer Key to tell us the principles of robotics. Read each of the three statements in the first sign outloud. Remember, there are exceptions that you might call to mind of a robot that is missing one or more of these. But the majority of robots built today will have all or most of these characteristics. Cut the three Info Pieces apart and rearrange them. Practice putting them together and matching the second part and first part of the statements. How is a stero-typical robot like a human? How is it different? Are you familiar with any animal-like robots? Look up information on the US Marine Alpha Dog Robot. Students learned about CPU's in the Computer MatchCard. So how is a CPU like a microprocessor? They perform the same function but the micro version is newer and smaller. Why is the microprocessor used for robots? Here's an activity for reviewing the principles of robotics after doing some of the hands-on activities or discussion activities below. Okay, where’s the fun in talking about bots without making one yourself? We will list some robotic kits and give instructions for making a robotic hand. Which one is best? Well, it might not surprise you that the more expensive one is going to be the highest quality and last the longest. Fishertechnik's quality is high acclaimed. Unfortunately, you do have to pay a little money for that acclamation. Instructions for making your own robotic hand out of bendable drinking straws is included in the MatchCard Science Technology Unit Study. Instructions are also available at other sites on the internet. This is a low-cost, non-computerized activity that helps students grasp some of the concepts of mechanical mobility. Ethics is a systematic study of what is right and what should and should not be allowed. Isaac Asimov was a physicist and author who wrote science fiction books about robots. He developed the three laws of ethics which are stated on the robots sign on the Answer Key. Do you agree or disagree with those laws? Do you agree with the first law? According to this law, is it ethical to have robotic soldiers? Can the military use any robots ethically? Is there a difference between the military and local law enforcement's use of robots for lethal force? Do you think super artificial intelligence will ever allow robots to program themeselves or rewrite the programs humans put in them? What is the implication of the third law? Teacher’s Note: The third law implies that humans are more valuable than robots. You started by listing the robots (real and fictitious) you could think of. Maybe you would like to develop your own robot - fictitiously of course. What animal or human characteristics will it have? What functions can it perform? Will it obey the three laws of ethics? 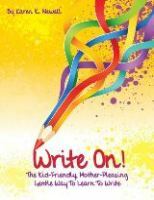 Super bonus for writing your story or drawing your robot. We hope you enjoyed this lesson about robotics. 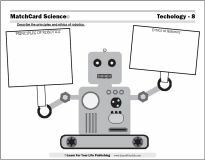 Check out the other eight Technology MatchCards as well as the other eleven MatchCard Science Unit Studies. 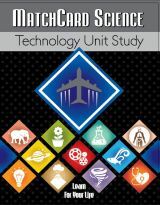 The technology unit study provides middle school studies with nine different lessons to introduce them to beginning engineering and technology. 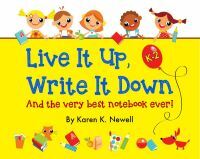 Even the non-techies can have fun with these non-intimidating and practical lessons.